Boeing [NYSE: BA] today inaugurated the newest phase of the Boeing India Engineering and Technology Center (BIETC) in Bengaluru. Spread across 150,000 sq. ft. and eight floors, the new facility will double Boeing’s existing footprint of 160,000 sq. ft. and will accommodate another 1,000 new employees, who will work on cutting-edge technologies that will drive aerospace innovation from India, for India and the world.While the new facility will incorporate software technologies into design, manufacturing and service offerings, Boeing will continue to scale up its aerospace, R&D and engineering activities in its existing facilities, which are also pursuing a journey of growth.BIETC is recruiting and scaling up exponentially. The center has increased its employee count from just 100 when it was inaugurated in early 2017, to over 1,000. And, as the center grows over the next few years, it will develop into a team of over 2,500 employees in specialized fields of IT, engineering and R&D. From an IT perspective, key focus would be on cutting-edge areas such as Product Lifecycle Management, Enterprise Resource Planning, Internet of Things, Blockchain, Data Analytics and Software Design for aerospace.BIETC is also continuing to grow teams focused on advanced aerospace research in materials and manufacturing, aircraft structures and airplane health management. Boeing’s engineering teams continue to excel and innovate in Digital Aviation, electrical, mechanical and systems design and providing support for lab and flight testing for aircrafts. 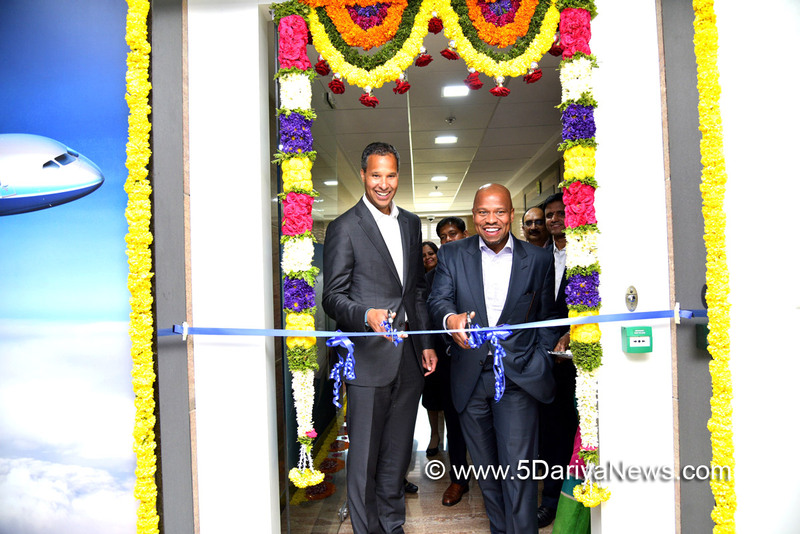 “We see India as a hotbed for path-breaking software solutions that can redefine the way the world designs, operates and manages airplanes,” said Ted Colbert, Boeing’s chief information officer and senior vice president of Information Technology & Data Analytics, while inaugurating the new facility. “The IT talent and capabilities available in India will be an enabler for Boeing’s success across the world.”The facility will contain an integrated lab for Internet of Things (IoT), Analytics and Mobility, a 3DX lab to develop 3D experiences, a Systems Integration Lab and a Proof of Concepts Lab. Over 25 Collaboration Areas in the facility will further enable teams to work together to develop, scale and deliver aerospace innovations with agility. The new facility will also enable driving strategic initiatives like Digital Transformation.“We are excited about Boeing’s ever expanding footprint in India. The new engineering facility at BIETC reflects an agile and driven Boeing in India, one that inspires people to collaborate and accelerate step-change innovation,” said Pratyush Kumar, president, Boeing India. “This center brings together engineers from the fields of aerospace, computer science and mathematics, who will collaborate to achieve next-gen breakthroughs for aircraft design, manufacturing and maintenance.”In addition to developing engineering capabilities, Boeing is also actively involved in developing skills across the aviation sector by partnering with leading Indian vocational training institutes, industrial training institutes and Indian partners, to train workers for the aerospace industry. Boeing is the world's largest aerospace company and leading manufacturer of commercial jetliners, defense, space and security systems, and service provider of aftermarket support. Boeing is focused on delivering value to Indian customers with advanced technologies and is committed to creating sustainable value in the Indian aerospace sector – developing local suppliers, and shaping academic and research collaborations with Indian institutions. Boeing has strengthened its supply chain with over 160 partners in India, and annual sourcing from India stands at $1 billion. Boeing currently employs 1700 people in India, and more than 7000 people work with its supply chain partners. Boeing’s employee efforts and India country-wide engagement serves communities and citizenship programs to inspire change and make an impact on more than 150000 lives.